PART SIX Cost of Capital and Long-Term Financial Policy that increasing debt increases the overall risk of the firm and therefore decreases the value of the firm? A: ?? 3. Optimal Capital Structure Is there an easily identifiable debt-equity ratio that will maximize the value of a firm? Why or why not? 4. Observed Capital Structures Refer to the observed capital structures given in Table 17.7 of the text. What do you notice about the types of industries with respect to their average debt-equity ratios? Are certain types of industries more likely to be highly leveraged than others? What are some possible reasons for this observed segmentation? Do the operating results and tax history of the firms play a role? How about their future earnings prospects? Explain. 5. Financial Leverage Why is the use of debt financing referred to as financial "leverage"? 6. Homemade Leverage What is homemade leverage? 7. Bankruptcy and Corporate Ethics As mentioned in the text, some firms have filed for bankruptcy because of actual or likely litigation-related losses. Is this a proper use of the bankruptcy process? 8. Bankruptcy and Corporate Ethics Firms sometimes use the threat of a bankruptcy filing to force creditors to renegotiate terms. Critics argue that in such cases, the firm is using bankruptcy laws "as a sword rather than a shield." Is this an ethical tactic? 9. Bankruptcy and Corporate Ethics As mentioned in the text, Continental Airlines filed for bankruptcy, at least in part, as a means of reducing labor costs. Whether this move was ethical, or proper, was hotly debated. Give both sides of the argument. 10. 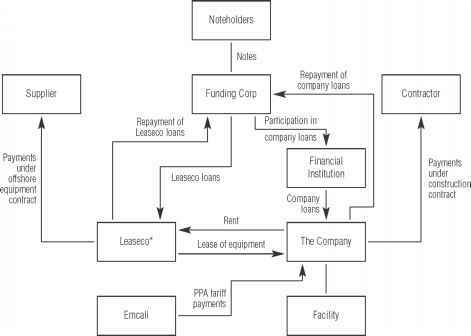 Capital Structure Goal What is the basic goal of financial management with regard to capital structure?